The American artist Theresa Ferber Bernstein (1890–2002) made and exhibited her work in every decade of the twentieth century. This authoritative book about Bernstein provides an overview of her life and artistic career, examining her relationships with contemporary artists. Bernstein’s work is noteworthy, even among her more famous male contemporaries such as John Sloan, Stuart Davis, and Edward Hopper, all of whom she knew. Working in realist and expressionist styles, she treated the major subjects of her time, including the fight for women’s suffrage, the plight of immigrants, World War I, jazz, unemployment, racial discrimination, and occasionally explicitly Jewish themes such as a synagogue interior or ritual objects such as a menorah. She was a member of the American Artists’ Congress and painted a mural for the U.S. government during the Great Depression. Bernstein’s portrait subjects include Albert Einstein, Martha Graham, Judy Garland, Louis Armstrong, Lil Hardin, and Billie Holiday, yet it is her particular sensibility and empathy with those subjects that set her apart from her mostly male contemporaries. 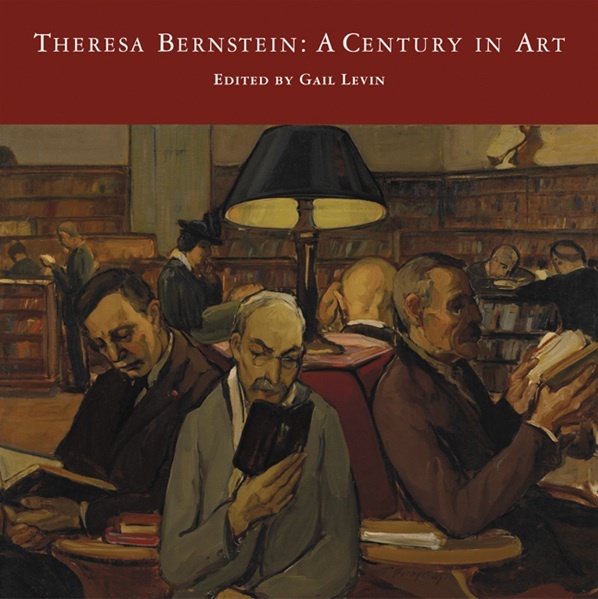 Theresa Bernstein: A Century in Art includes thematic essays by Michele Cohen, Patricia M. Burnham, Elsie Heung, Sarah Archino, Stephanie Hackett, Gillian Pistell, and by the editor, Gail Levin. It features more than two hundred images, including full-color reproductions of her art and rare documentary photographs, many published here for the first time. It also includes a detailed chronology of Bernstein’s life, a list of public collections, and a list of her writings.